Home » Mattress Reviews » Brooklyn Bedding (Signature) Review For 2019 – Is It Worth Your Money? 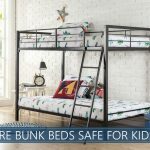 Brooklyn Bedding (Signature) Review For 2019 – Is It Worth Your Money? The Brooklyn Signature mattress by Brooklyn Bedding has been updated recently to a hybrid design – aiming to bring you the best of both worlds of foam and innersprings. We were curious to see if their #BestMattressEver campaign lived up to the hype with the new design. Brooklyn Bedding is known for offering high-quality products at an affordable price. Unlike many of their competitors, they own and operate their own factory, which allows them to cut out the middleman and pass the savings on to their customers. Our in-depth review of the Brooklyn Signature evaluates all the most important characteristics of a good mattress, including support, comfort, and quality of materials. This model comes in three different firmness levels, and our review focuses on the best-selling Medium option. You can read our full break down or jump here to skip right to our summary and score. Want the best of both worlds – There is a lot to recommend in both innerspring and foam beds, and this hybrid captures advantages of both. You can experience the cooling of this bed and support of springs while being gently cradled by pressure-relieving foam. It is a win-win. Sleep hot – The open cell design and infusion of the company’s proprietary TitaniumGel™ in the top layers both help reduce heat retention that is common with foam. The coil layer of this hybrid also increases airflow, which helps keep the hybrid temperature neutral. Prefer the deep hug of memory foams – While the specially designed layers of foam in this bed will give your body a gently cradled feeling, it will not be the same deep hug experience that memory foam lovers prefer. You will sleep on top of the Brooklyn Signature, not in it, but this also means you will be less likely to overheat and will be able to change positions more easily than you would in some memory beds. Would you like to view more options? Click here to see all our mattress reviews. Though the recently updated model is now a hybrid, it is still compressed and shipped in a box like the previous version. Sturdy handles on either side of the mattress help you move it into position on your frame. This hybrid is suitable for platforms, slatted frames, box springs, and adjustable bases, though the company suggests choosing frames with little to no flex. Their website includes an option to purchase a foundation designed specifically for this product if you prefer. The cover is made from a breathable cotton blend that is quilted to poly foam to create a plush experience that feels soft and luxurious to the touch. Depending on which firmness level you select, this cover is between .5 and 1.5 inches thick. Both the Soft and Medium options stack up to 11.5 inches thick, but the Firm option is 10.5 inches and does not have the same plush feel as the other two firmness options. The first layer is 2 inches of TitanFlex™, a hyper-elastic material with a feel similar to latex but with added strength and durability. It has an open cell structure and added infusion of antibacterial TitaniumGel™ help regulate temperature. This top comfort layer contains bed’s softest foam that will contour to your shape while retaining elasticity and a quick response. According to the company, their foams are safe for people with latex allergies. The second layer is 2 inches of TitanFlex™ that is slightly firmer than the previous layer and provides deep compression support and contouring. This layer acts as a transition between the foam layers and the coils beneath. The third layer is 6 inches of pocketed coils that form the foundation and give it stability, support, and bounce. We score the Medium option of this hybrid at a 6 out of 10 with 10 being the firmest. This will be well-suited for most sleeping positions, but a softer option that the company scores at a 4 and a firmer option, which is scored at an 8, are also available. The Brooklyn Signature delivers advantages of both innerspring and foam-only beds that we’ve come to expect from most hybrids. The elasticity of the latex-alternative TitanFlex™ paired with an innerspring core give this mattress a quick response time, a medium-level bounce, and good temperature regulation. The softer foam in the top comfort layers provides a gently cradled feeling, along with good pressure relief that reacts quickly to changes in position. 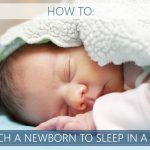 Overall, the Medium offers good support that will work well for a variety of sleeping positions. Combination sleepers will find that they can change positions in this bed without feeling like they are trapped inside the foam. Back sleepers will appreciate the support provided by the innerspring coils, which keep the spine aligned throughout the night paired with contouring support of TitanFlex™ in the lumbar region. Most side sleepers will feel pressure relief along their heaviest points – hips, shoulders, and knees – while also receiving the support necessary for neutral spine alignment. Most stomach sleepers will be well-supported by the coils and the firmer second layer of TitanFlex™. This helps them maintain proper spine alignment because their hips do not dip too deeply into the mattress. Significantly heavier sleepers or those who only sleep on their stomach may prefer the additional support available with the Firm option. Motion transfer refers how much movement on one side of the mattress is felt on the other side of the bed. This is an important consideration for light sleepers who share their sleeping space with a partner who changes position a lot or a large pet that jumps in and out of bed all night. With the Brooklyn Signature, motion transfer is minimal. While there is a medium-level bounce in this bed, it does not necessarily reverberate to the other parts of the mattress because most of the shock is absorbed by the TitanFlex™ layers and by the foam around the coils. Also, because the coils are individually encased, each one compresses independently from the other coils and will not transfer motion like traditional coil systems with an interconnected chassis. Edge support may not be your primary concern, but it is something to consider if you regularly sit on the side of your bed or tend to sleep close to the edge. A mattress with good edge support allows you to use more surface area. This hybrid has an edge-to-edge coil system that provides good edge support, especially when compared to other bed-in-a-box brands. When sitting on the side, you may notice some compression within the first few layers, but you should still feel well supported by the coils underneath. Multiple Firmness Options – The Brooklyn Signature is available in three different firmness levels, Soft, Medium, and Firm, depending on your sleep preferences. During the sleep trial, you may exchange the hybrid for another firmness level for free or upgrade to the Brooklyn Aurora by paying the difference in price, but the company asks that you sleep on the mattress for at least thirty days before exchanging. Trial Period – Brooklyn Bedding offers a full 120-day sleep trial where you can test it out and see if it is right for you. Warranty – Like many competing bed-in-the-box brands, the company offers a 10-year warranty on this bed. Shipping – Shipping is free within the continental United States. Shipping to Alaska, Hawaii, and Canada is also available for an additional fee. CertiPUR-US® Certified – The product tested within safety limits of materials such as formaldehyde, mercury, and lead. Latex-Alternative – The TitanFlex™ gives the bed the feel and support of latex but are safe for sleepers with a latex allergy. **Note that if selecting the firmest option, this will affect the mattress’ height, reducing its thickness to about 10.5 inches. The Brooklyn Signature continues to deliver on quality and value as its #BestMattressEver enters the hybrid space. We believe this mattress is an excellent addition to the growing hybrid space. Though the mattress is priced similarly to other bed-in-the-box options, it represents a fantastic value in the hybrid market. The TitanFlex™ offers the great support and bounce of latex without risk to those with latex allergies. The pocketed coil design and unique TitaniumGel™ helps keeps the mattress cool throughout the night for added comfort. True to Brooklyn Bedding’s industry reputation, this hybrid offers high-quality and unique materials at an excellent price. The product’s added durability and luxurious feel may make this your #BestMattressEver! I am so happy to glad to find out your outstanding blog…! !